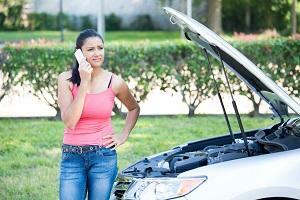 Do you know who to call for emergency roadside assistance? It happened. You got stuck on the side of the road. Maybe your keys got locked in the car. Maybe you ran out of gas. Or maybe your vehicle stopped working and you have no idea why. 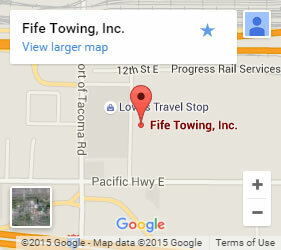 Whatever the problem, if you need top of the line emergency roadside service in Lakewood, call up Fife Service & Towing. Our promise for roadside help is the same as with our towing services; we’ll get there fast and we’ll treat you like we’d want to be treated. If you call us, you don’t have to worry about getting an after-hours phone recording. We know that getting stranded can happen any day of the week at any hour. That’s why our roadside recovery is available 24 hours a day, 7 days a week. When you need our help, give us a call, and we’ll send out one of our many trucks to make sure your wait time is minimal. Be prepared! While nobody wants to get stranded, being prepared can save a major headache in case it does happen. We recommend saving our number for roadside services or emergency towing because we’re always open and ready to help. What kind of road service do you need? What if you can't get my car working? 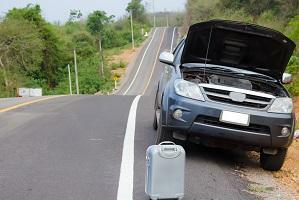 When you give us a call and we think we can fix it with roadside services, we’ll always try those first. But if we can’t, we’ll give you the option to let us tow your vehicle, whether it’s a car, truck, or commercial vehicle. We can tow it to your home or to an auto shop of your choice, and know plenty of honest, highly-rated auto shops that can help if you’re unsure of where to go. When you’re stuck waiting for help, we know that every minute counts. Depending on where you’re stranded, not only can it be inconvenient, but it can be unsafe as well. You need someone with the experience and expertise to get to you fast and accurately diagnose the issue. With over 65 years in the industry, we know the streets of Lakewood and can quickly find out what’s wrong with your vehicle to get you back on the road. So when you need help, give us a call; you’ll be surprised at how fast we can get to you!